The 2006 MFI international conference was held in the historical city of Heidelberg, Germany. 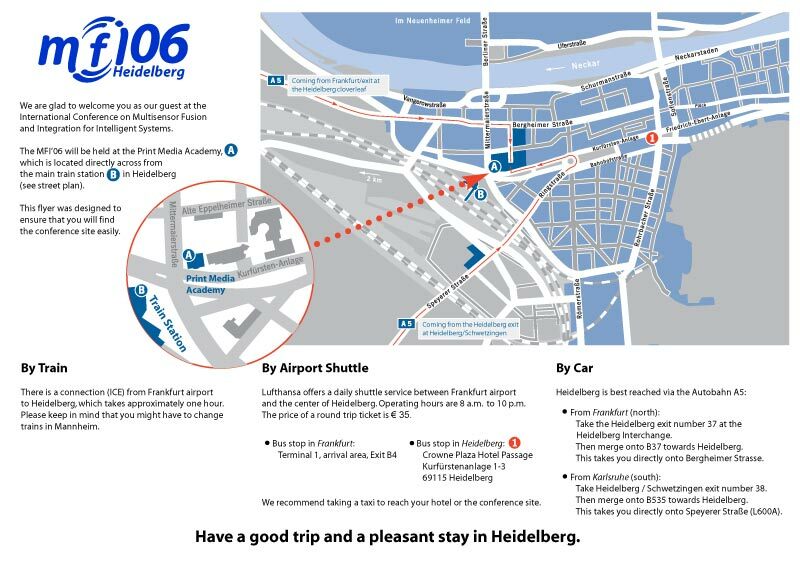 It goes without saying that Heidelberg stands for its world-famous castle, and its picturesque city center in a breathtaking and beautiful surrounding. The longest and one of the most attractive pedestrian zones in Europe, situated in the heart of Heidelberg, is full of magnificent monuments and buildings, which stand as a legacy to this city's fascinating heritage. We hope that the combination of the historic scenery of Heidelberg and the futuristic atmosphere at the Print Media Academy made this conference an outstanding and unforgettable experience for all participants. The committee of the MFI thanks all participants for their contributions. We are looking forward to see you again at the next MFI 2008, which will be held in South Korea. Pictures from the 2006 MFI. Here you will find a collection of pictures taken during the MFI conference.